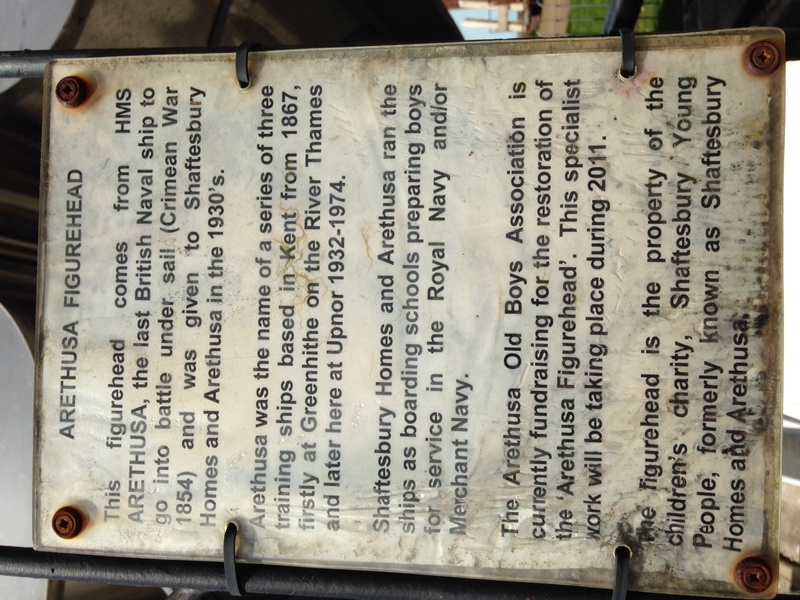 Although better known as a venture centre for schools, youth organisations and corporate visitors run by the charity Shaftesbury Young People, the original Arethusa was a naval training centre for boys. 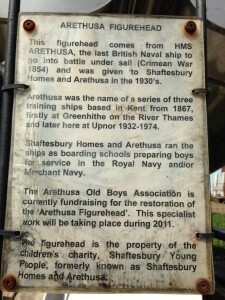 Formed in 1843, the Shaftesbury Homes and Arethusa organisation, thanks to the involvement of Lord Shaftesbury, acquired an ex-naval war ship, the Chichester, in 1866. 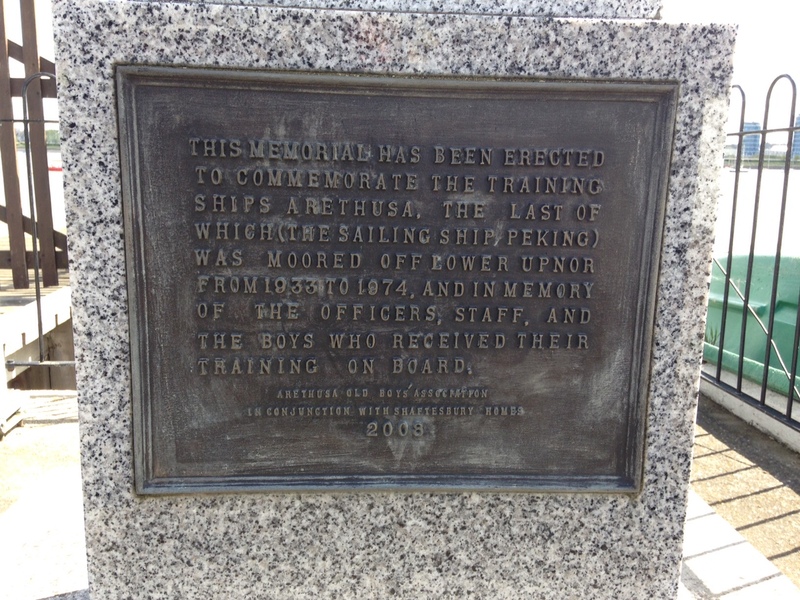 This was followed by the first Arethusa ship in 1874 and subsequent boats (all re-named the Arethusa) housed boys for over a hundred years, training them for a future life in the Royal or Merchant Navy. 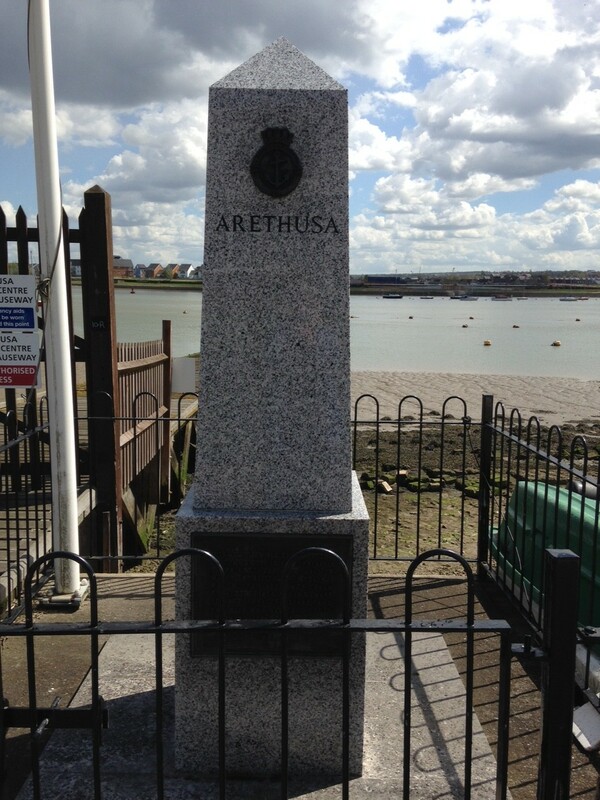 Upnor resident Sheila worked for the Arethusa Centre for 30 years. While most of her time was at the new centre, she did also work on the last ship before it left for a new berth in New York. She recalls: “I used to work on the ship, the actual Arethusa boat, cleaning the sick bay. Upstairs was the contagious diseases and downstairs was the broken limbs. 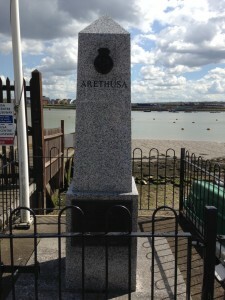 Former chandlery owner, Elizabeth Copper, also had memories of the Arethusa boys. 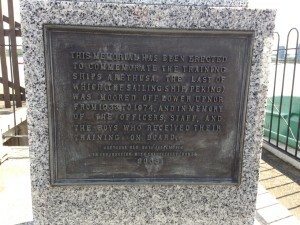 “The old training ship, the Arethusa, was moored out here for many years, and that was quite interesting, watching the boys – very hard life for them – but watching the boys have their band practice and marching up and down on Sunday morning at the church parade etc. With the school leaving age and entry age to the armed services narrowing in the early seventies, the Arethusa ship was no longer required. 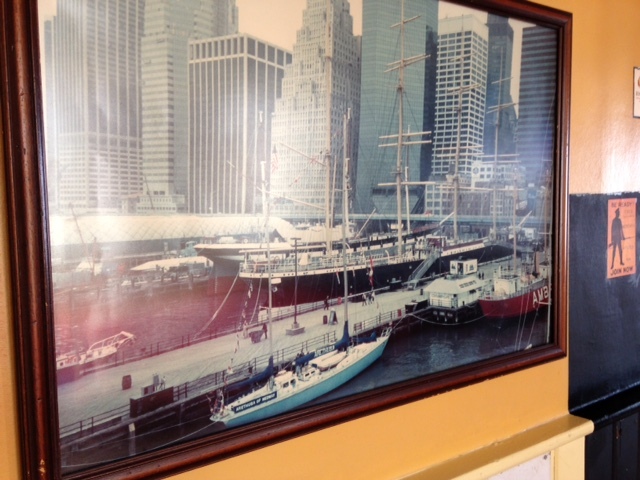 The last boat to be named Arethusa was the Peking, a Flying P-Liner four-masted barque built in 1911. It was acquired after 1918 as war reparations and served as the training ship until 1975. 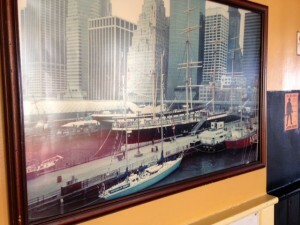 She was sold to the South Street Seaport Museum in New York, where she still resides. The land based facilities were fully developed into the Arethusa Venture Centre enjoyed by thousands of young people today.